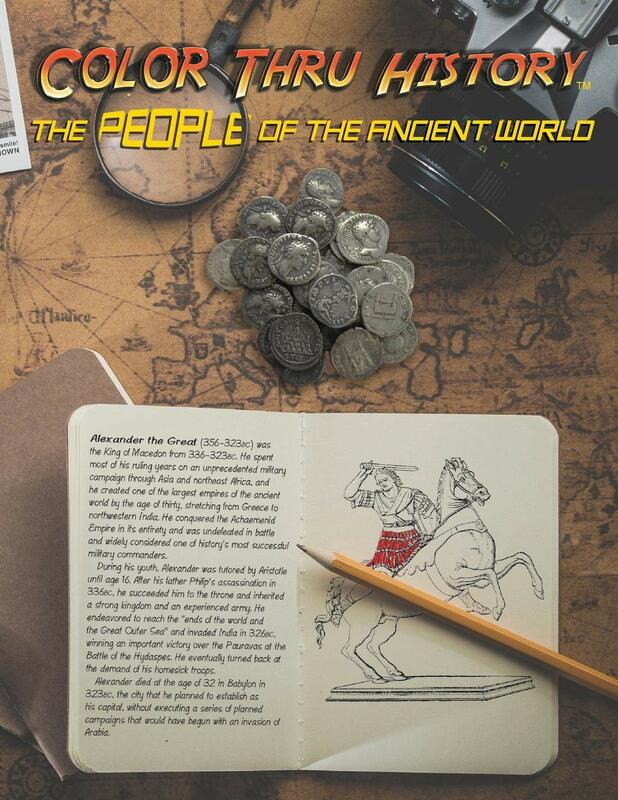 With an overview of each person's life, related images including maps, and a timeline chart so you know how they fit historically, this book can help you not only learn about each person, but also how they relate to others of their time. The coloring pages contain a corresponding image and have nothing printed on the back - so you can color without worrying about bleed-through. 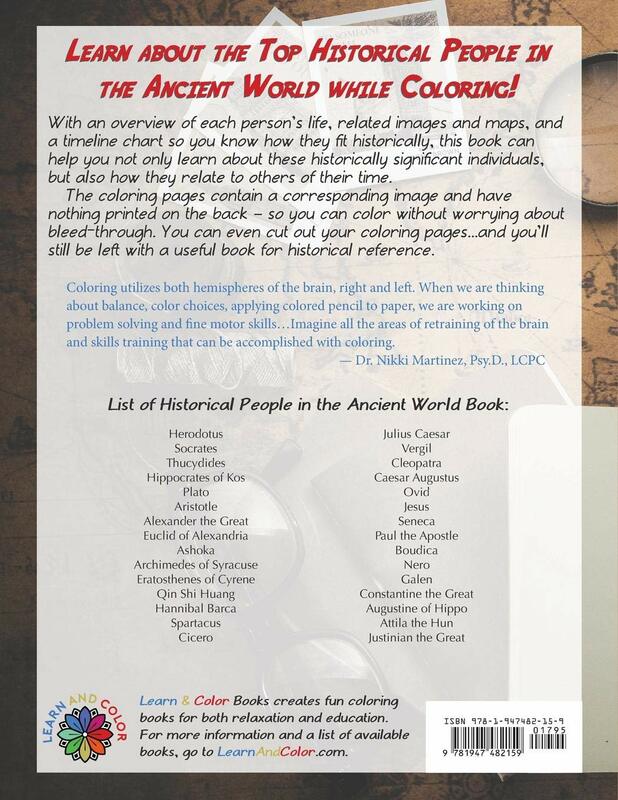 You can even cut out your coloring pages...and you'll still be left with a useful book for historical reference.